PhonePay makes it easy to pay for items with just your phone, no need to bring your credit card! 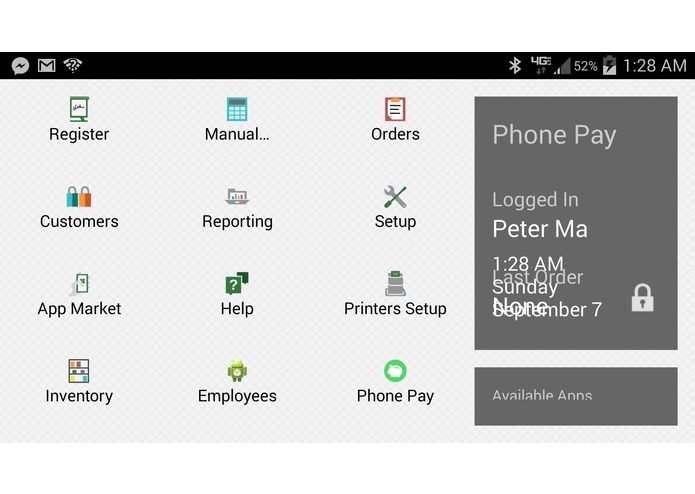 At a Clover-enabled POS system, click PhonePay to checkout. Then just enter your phone number. We send you a text to confirm and after you enter your PIN, we charge your associated credit card (currently MasterCard) in our system. It's that easy! But there's more. After paying for your items, give a rating and review the items purchased at the store. All transactions are stored in your evernote account w/ pictures for viewing instantly.